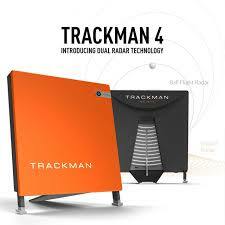 Keep your game sharp this winter at Whitetail Golf Club with Trackman 4 Dual Radar Technology. Whether you want a private lesson from our PGA of Canada Certified Professional or to book for a group up to 8 people, we have everything you need to have fun and learn along the way. Great food and beverage options are available. To schedule a lesson or to book the simulator to play 9 or 18 holes on your choice of 30 Championship Courses, call 613-628-3774. Private Lessons run approx. 1 hour. All lessons include a detailed swing analysis report with video. Did you know that TrackMan provides you with up to 26 vitale data about your swing and ball flight? That is why TrackMan is used by a vast majority of the game’s leaders: from world renowned coaches to more than 350 top performing tour players to practically every golf equipment manufacturer in the industry. E6 from TruGolf is the industry standard for golf simulation software. It is extremely intuitive and easy to use, so everybody feels at home using the software right from the start. A radar launch monitor that tracks ball flight and club data. The product is used by professional tour players all over the world. You are welcome to use your own clubs as long as you as they are clean. Please remember that we only use new balls with no markings on them. You can also rent clubs if needed. There is no dress code… however, you are not allowed to use outdoor golf shoes in the simulators.